Justice Nishita Nirmal Mhatre is the Acting Chief Justice of Calcutta High Court. The glass ceiling in Indian judiciary, the old boys’ club, seems to be cracking at last, if not broken yet. 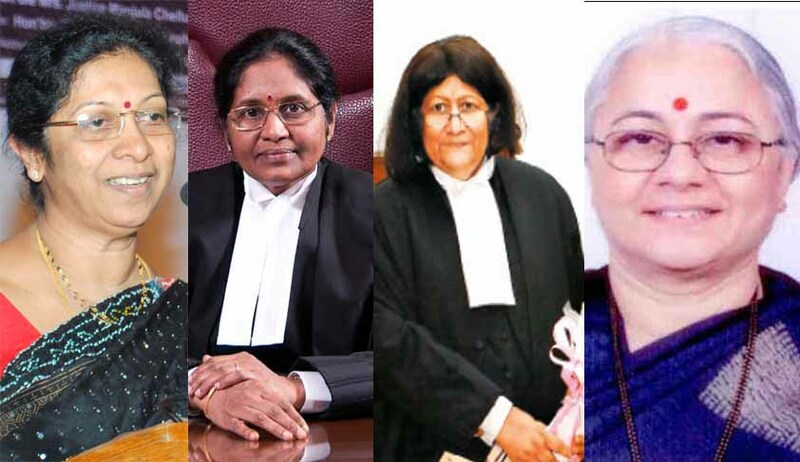 With the appointment of Justice Indira Banerjee as the chief justice of Madras High Court, four major high courts got women chief justices for the first time in the history of Indian judiciary. Delhi, Bombay and Calcutta high courts are already being led by women chief justices. Justice Rohini is the chief justice of Delhi High Court, Justice Manjula Chellur that of Bombay High Court. Justice Nishita Nirmal Mhatre is the Acting Chief Justice of Calcutta High Court. However, gross under-representation of women continues in the Supreme Court, the apex judicial body of the country, as it has only one women judge. Justice R Banumati is the only woman judge in the Supreme Court, against the working strength of 28 and sanctioned strength of 31. Though there were strong rumours that Justice Rohini and Justice Manjula Chellur would be elevated to the Supreme Court, they could not find place in the last list when five new judges were appointed in the Supreme Court on February 17 this year. According to the latest data available (as on 29.3.2017), only 10.86 per cent of judges in the higher judiciary are women. "There are 69 Women Judges working in different High Courts as on 29.3.2017, which in percentage terms is 10.86% of working strength. Appointment of Judges of the Supreme Court and High Courts is made under Articles 124 and 217 of the Constitution of India respectively. These Articles do not provide for reservation for any caste or class of persons. There is no proposal to provide reservation for women in the appointment of High Court Judges. The Government has, however been requesting the Chief Justices of the High Courts that while sending proposals for appointment of Judges, due consideration be given to suitable candidates belonging to Scheduled Castes, Scheduled Tribes, Other Backward Classes, Minorities and Women. The appointment of Judges in the Lower Judiciary is in the domain of State Governments"
As per the data, there are only 69 women judges of the 652 judges across 24 high courts. The Bombay High Court leads the list, with 12 women judges, followed by Delhi High Court with 11 judges. Surprisingly, eight Indian high courts do not have any woman judge. Only six women judges have made it to the Supreme Court since Independence. In the first 39 years of the Supreme Court, no woman was appointed to it. In 1989, Justice Fathima Beevi was appointed as the first woman judge of the Supreme Court. Justice Sujatha Manohar, Justice Ruma Pal, Justice Gyan Sudha Misra, Justice Ranjana Desai are the other women judges appointed to the apex court.